The densification of housing along the edges of the Linear Park negates decades of scientific advancement towards the improvement of coastal water quality and marine life. By infilling backyards with housing and concrete driveways, we reduce the area of land available for uptake of rainwater. Instead, rain falls onto roofing and concrete that is delivered into the storm water system, including the River Torrens. The River Torrens is part of an urban catchment that receives and carries pollutants from our urban activities to our coast. This delivery system has driven loss of marine life, with the larger population-sizes causing larger losses (Gorman et al. 2009). South Australia has become a world-class example of the devastating effects of land-derived water pollution on marine life. Along with many state government scientists, I have documented 30 years of loss of marine life caused by the urbanization of the City of Adelaide (Connell et al. 2008). 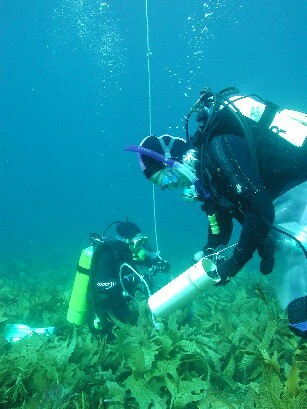 Land based pollution has driven loss of seagrass meadows and kelp forests along our Metropolitan Coast. These plants form undersea habitats that support a myriad of life-forms, including fish and their food. Over the last decade, South Australian government departments have responded to coastal degradation by recycling wastewater to our parklands rather than discharging to the coast. The “Glenelg to Adelaide Park Lands water recycling project” has been a government initiative to reduce coastal pollution (Australian Government) At substantial cost SA Water has upgraded its wastewater treatment plants to reduce pollution (SA Water - Major Projects). This investment in science and infrastructure has resulted in an improvement in coastal water quality and life. 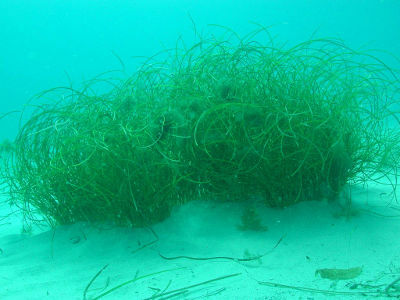 New seagrass shoots have sprouted in undersea wastelands, giving significant hope of recovery. Indeed, this month, scientists and managers across the state met to discuss how to take advantage of these improved conditions to assist nature’s recovery. A ‘Seagrass Restoration Workshop’ was held at SARDI Aquatic Sciences on the 7th and 8th of March and attended by key state government departments and universities. Of critical concern was the effect of the densification of housing along the edges of the Linear Park. The 30-Year Plan for Greater Adelaide and its government and council supporters do not appear to have considered how a decade of coastal investment can be undone upstream. The River Torrens releases at the top-end of a southerly flowing current that disperses its contents along the Metropolitan Coast. Gorman, Russell and Connell (2009) Land-to-sea connectivity... Ecological Applications 19: 1114–1126.